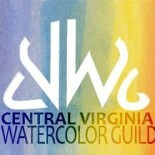 Join members of the Central Virginia Watercolor Guild as they enjoy a “Paint-Out” on Charlottesville’s Downtown Mall on Saturday, October 1. This free event–part of our 25th Anniversary celebration–is open to all members of the community. If you have questions, call or email Marcy Springett, (434) 964-1423 mts863@gmail.com. Thanks! We just happened to be in the right place at the right time, and my son loved the chance to watercolor on the Downtown Mall! Thank you! This entry was posted on Aug 17, 2016 by miatomaine in Local Events.